It’s not too hard to get things set up with it correctly once you’ve done it a few times. I ran into an interesting challenge this week, however. I needed to setup different build versions of the WebClient on the same box. A customer was testing a higher build to move to and wanted the new build of the web client in place to match. That last one is the troublemaker! The problem might be apparent to you already: The Target of that “Shortcut” in Inetpub can’t be changed to a new Target. 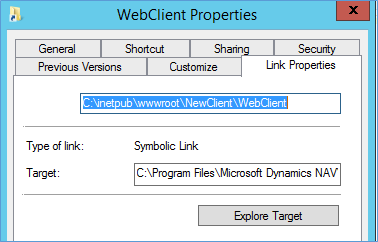 This points to the WebClient installation, C:\Program Files\Microsoft Dynamics NAV\100\Web Client folder. If I replace that folder’s contents with the new build, that will break my production version of the site. They’re sharing the same application system. But I can’t change the Folder Target. If you install this Explorer extension, you’ll get the Link Properties tab that I previewed in that screenshot above. 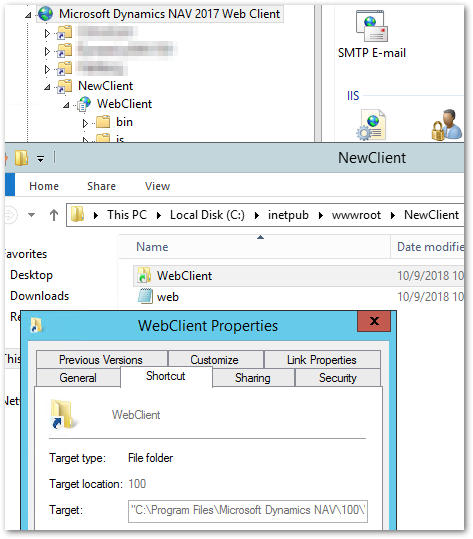 Now when you look at the WebClient shortcut, on that Link Properties tab, you’ll see this is a Symbolic Link, not a shortcut. The extension lets you change the Target. Now you can make a new Web Client folder elsewhere in the OS, update the files from the new build, and restart that web site. All else functions like any other multi-NAV Web Client installation process. 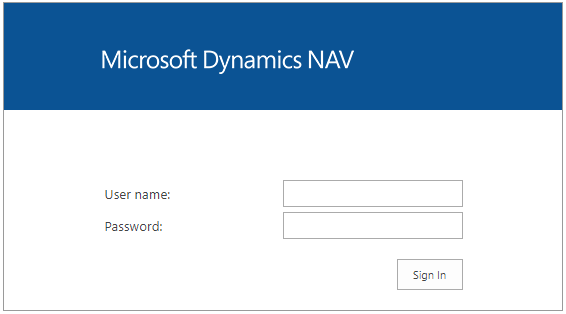 Dynamics NAV, NAV Configuration Dynamics NAV, Web Client. permalink. Hi Jeremy, nice post. In BC on prem you can use the new parameter -PublishFolder to point to the correct build right away. Thanks for the feedback – I’m glad it’s easier than in earlier NAV versions.